The problem is that with both these feelings, if we're not approaching them with the right attitude and plan, we can end up lacking in focus, working sporadically and inconsistently, and feeling burnt out and unmotivated. By working with instead of against that natural rhythm, you can capitalise on it in the right moments, and avoid feeling like you'll just never get anything done. Night owl vs early bird. A good place to start assessing your creative energy is to look at when you generally feel most alert, focused, and ready to work. Typically, most people feel they fall into either a night time or an early morning person, and your preference here should be taken into account. 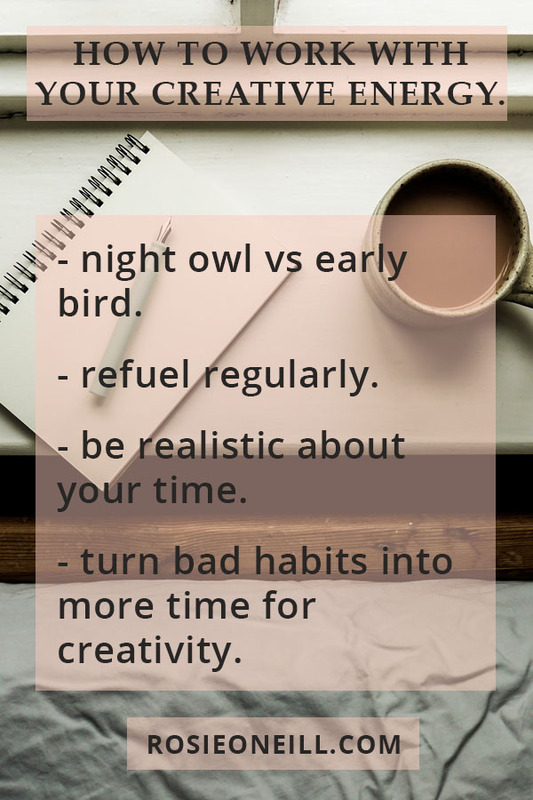 If you're a night time person, it's no good setting your alarm half an hour earlier, just so that you can get some creative time in before the day starts. Likewise, there's no point yawning through an evening of creativity if you're just not energetic in the evening. Just like physical and emotional energy, creative energy needs regular refuelling. Reading, podcast listening, resting - are all ways you can do this, and you can read this post here for more ideas. Be realistic about your routine and priorities. Creative energy is usually highest when you're not overthinking the more pressing priorities and commitments you need to get to. Write a list of all the other things that you absolutely have to get to - your job, your kids, the housework. If you're able to, consider where there might be room within these to spend time creating. Maybe you have a long commute that you could use to write on? Maybe you have a weekly kid's swimming lesson that you could use to your advantage? 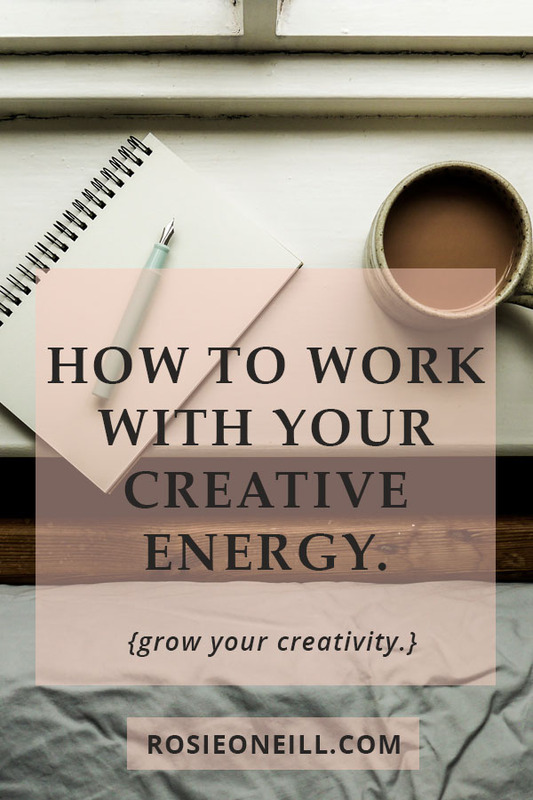 Whatever it is, make sure it plays to your normal energy levels - if you already know you'll be too exhausted to squeeze your creative time in after getting in from work, don't plan to do it then. Planning rest time - which can include anything from literal resting to quiet reading or listening to a podcast - is just as important for your creative energy. Avoid wasting energy on the things that are draining for the sake of it. Watching rubbish in an evening might seem like you're making time to rest, but an evening connecting with a new creative project might be even more relaxing and beneficial. Similarly, spending half an hour scrolling on social media can end up sapping your energy as well as your time - maybe that half an hour can be one to plan the next chapter of your book, or add a new page to your sketchbook?